Beyerdynamic is one of my favorite headphone manufacturers but there are a lot of headphones I haven’t tried yet. 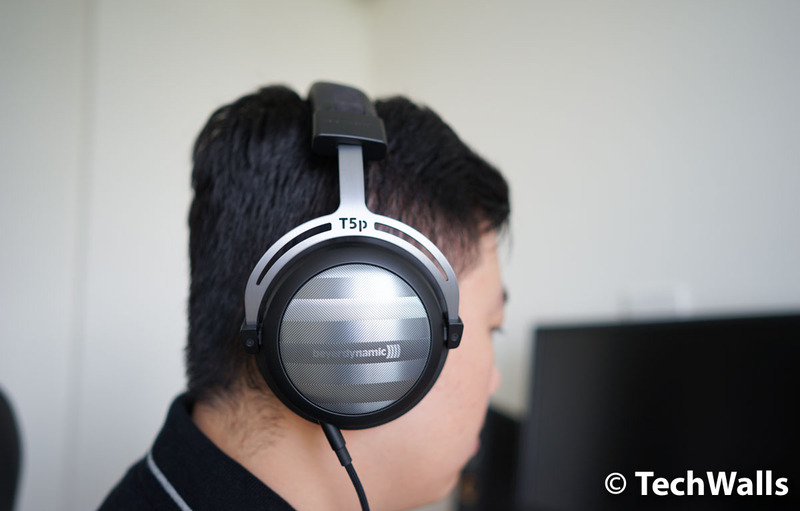 I missed the original Beyerdynamic T5p, so the T5p 2nd-generation is like a brand new pair for me. There are a lot of similarities between the 2 versions and I’m glad that the new one is still hand made in Germany. I’ve tested the product carefully for more than a month because I’ve seen mixed reviews from customers. 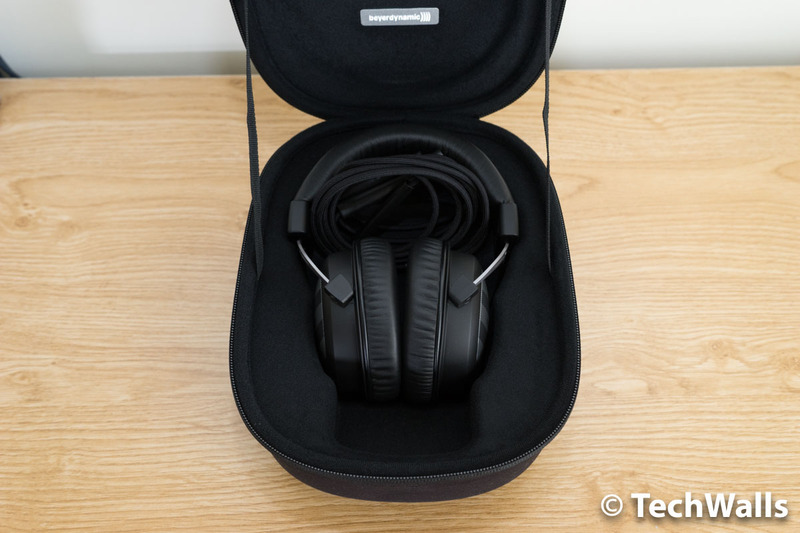 Now, check out my in-depth review of the Beyerdynamic headphones. 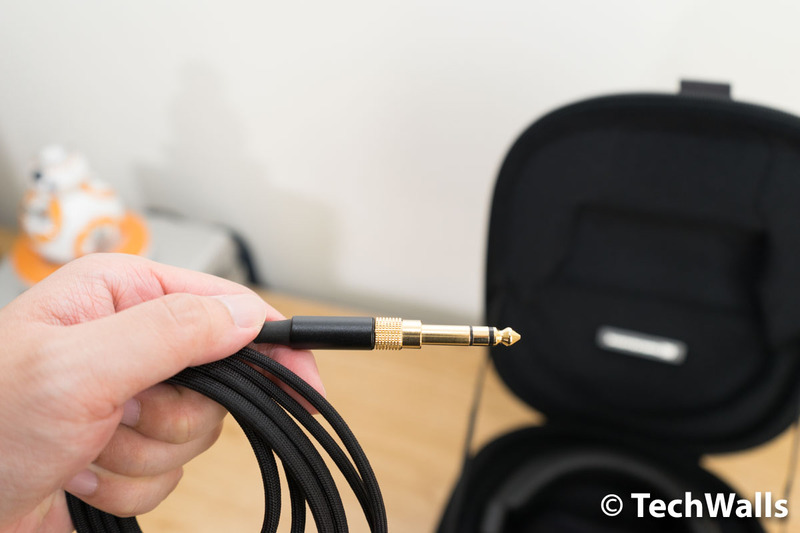 The T5p 2nd headphones are put inside a hard carrying case, along with a two-sided detachable 1.4m cable and a 1/4″ (6.35 mm) plug adapter. The case is pretty big, so I guess you will need a big bag to carry the headphones around. Otherwise, if you just use the headphones for your home audio setup, the case is perfectly fine to store and protect the headphones. It doesn’t look like a stylish pair of headphones but the build quality is top notch. They use high-quality materials and the finishes look perfect at every angle. German products are always known for excellent craftsmanship and the product is not an exception. Just take a look at the earcup exterior, the soft and thick earpads covered in protein-coated synthetic leather, the cut-out ‘T5p’ name and brushed metal finish on the earcup yokes. An important improvement of the 2nd generation is the detachable cable. The cable is made of Ohno continuous casting 7N copper with textile coating and now it can be easily replaced. You can change it to a longer cable or a cable with a 4-pin XLR connector for balanced use. The included cable has a 3.5mm plug and it’s suitable for your portable devices like smartphones or audio players. In case you want to plug into an Amp, you can just use the 6.35mm adapter. One complaint is that the 3.5mm plug’s body is too big and you probably couldn’t plug it into your smartphone without taking the protective case off. The T5p features a closed-back over-ear design, besides, it is fairly lightweight and has well-cushioned memory foam earpads. The earcups are pretty big and wide, they almost don’t touch my ears when I wear them. Therefore, I’m not surprised that I feel nothing after wearing the headphones for an hour. I can only feel a little weight when wearing them for a longer session. 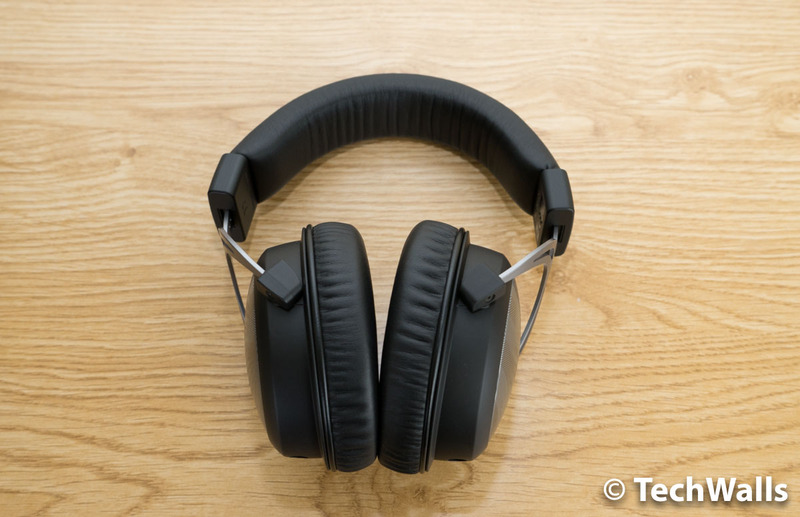 The high-end headphones even come with a 5-year manufacturer’s warranty if you buy it from an authorized dealer, so you can be totally confident making the purchase. Most other headphone brands offer just 1-year warranty. 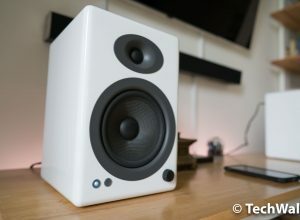 The T5p features the same Tesla technology for a crystal clear sound but it has a richer/warmer tone than I expected. 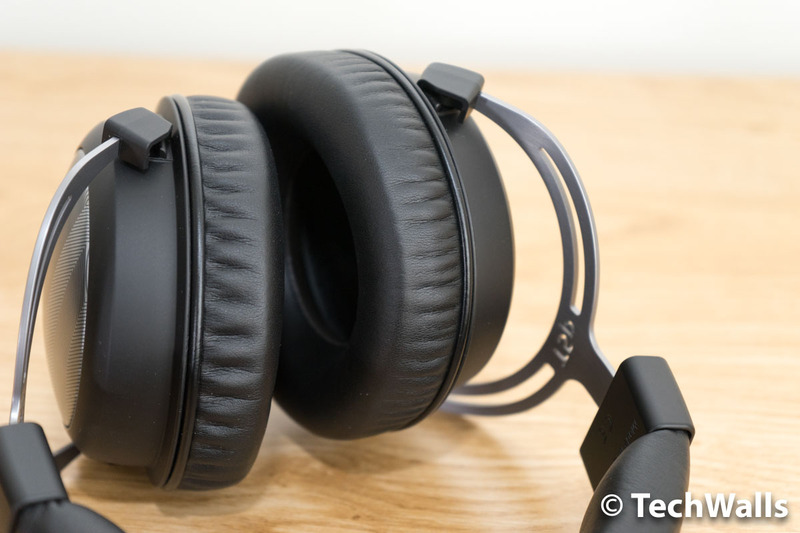 My previous Beyerdynamic headphones often produce a clear, bright and flat sound and I thought the sound signature would be kept on the closed-back T5p, but it is not. This is probably the reason why many reviewers were disappointed with the product and recommended to go with the original version. Of course, this depends on your setup as well, I often connect the T5p directly to my iPhone 7 Plus and MacBook Pro to listen to music. The headphones are obviously not portable in terms of size but it can be used with almost any device, thanks to the low impedance of 32 ohms. 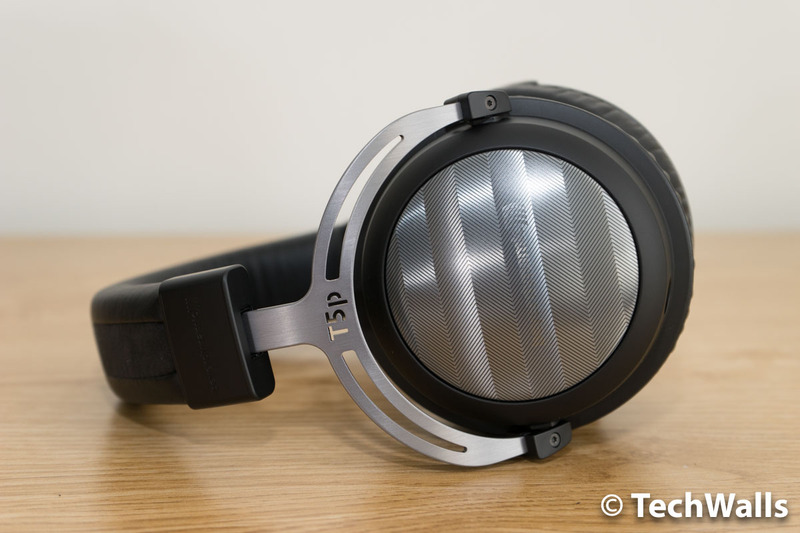 Having said that, the bass boost is not that significant, it somewhat reminds me of the smaller Beyerdynamic T51i. The bass on the headphones comes nowhere near to the overwhelming bass on cheap headphones out there. It is still well-controlled, tight enough and doesn’t make the mids muddy. The details and bright treble are still there. Fortunately, there is just a little treble spike as I’m aware of. I don’t need to EQ the headphones as I did on the Beyerdynamic T90. These are not the headphones with flat sound but I think most audiophiles will enjoy the slightly richer sound. They don’t cause ear fatigue, therefore, it is so suitable for prolonged music sessions. Notably, the soundstage of the T5p is amazing. Honestly, I can’t believe closed-back headphones could deliver such a wide and spacious sound. 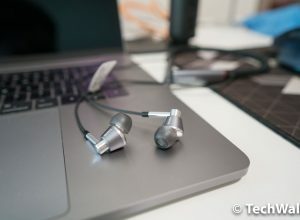 The manufacturer stated that the tilted sound transducers on the outside of the earcups help bring you the soundstage that can only be found on open-back headphones. The T5p can isolate noises pretty well but it can also leak sound to the outside world. My colleague sitting next to me could hear the music, but not so clearly. The leakage is pretty small and can be ignored. 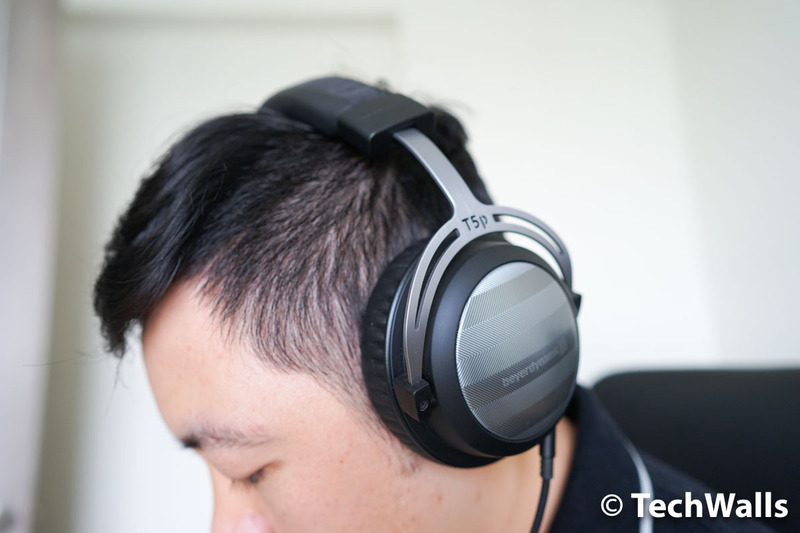 The Beyerdynamic T5p 2nd is probably the best closed-back headphones you can buy right now. It brings the sonic characteristics of an open-back pair and can work directly with any audio source. 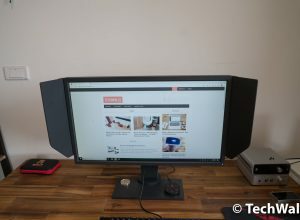 TechWalls highly recommends the product. 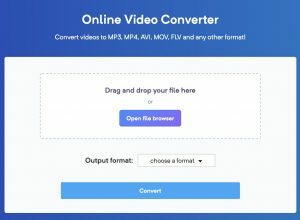 What source you using in your review?